Formed in 1979 The North Vancouver Island Chefs Association (NVICA) – The northern Vancouver Island branch of the Canadian Culinary Federation Culinaire Canadienne (CCFCC) is a non-profit association of chefs, cooks, culinary and hospitality industry professionals. The founding members were Randy Redman, Arnold Mueller, Ben Veldhuis and Michel Rabu. Long-standing members of the Branch, with more than 20 years of past service have included Hank Meury, Hans Zihlmann, Fred Rose and Chris Hansen. The North Vancouver Island Chefs Association (NVICA) covers an area that stretches from Bowser north to Port Hardy. In the late 1950s a number of chef associations were beginning to form throughout Canada. Chefs moving from the USA and bringing their ideas to the Canadian workplace heavily influenced the formation of these associations. By the early 1960’s several branches had formed and regular meetings were being conducted. During this time chefs employed by the Canadian National Railway (which owned all major hotels in Canada, including The Hotel Macdonald and Banff Springs Hotel) had been organizing, attending annual meetings and planning culinary sessions. At their 1963 annual meeting, the five professional chefs involved created the Canadian Federation of Chefs. The first National Convention was held in Edmonton. Chef Angelo Cassagrande, Executive Chef of the Hotel Macdonald was the first elected President. The mandate of the Federation remains the same to this date - to heighten the image and status of ‘The Chef’ in the eyes of the public and government. To accomplish this goal members recognized there was a need for on-going training outside the workplace. As a result of their efforts many training centers, both private and government were developed across Canada. The Federation continues its representation on numerous boards where they offer direct and indirect input into various curriculum and course studies. In their continuing quest for upgrading and educating its members the Federation, with the assistance of the Federal Government developed a nationally recognized Chefs Certification Program. The Federation has been renamed twice: in 1993 to the (CFCC) Canadian Federation of Chefs & Cooks; and in 2003 to the current (CCFCC) Canadian Culinary Federation/Fédération Culinaire Canadienne. The tradition and strong ethics of the Federation are centered on decades of fellowship, honour, professional respect and the ongoing search for knowledge that continually challenge all aspects of food preparation. 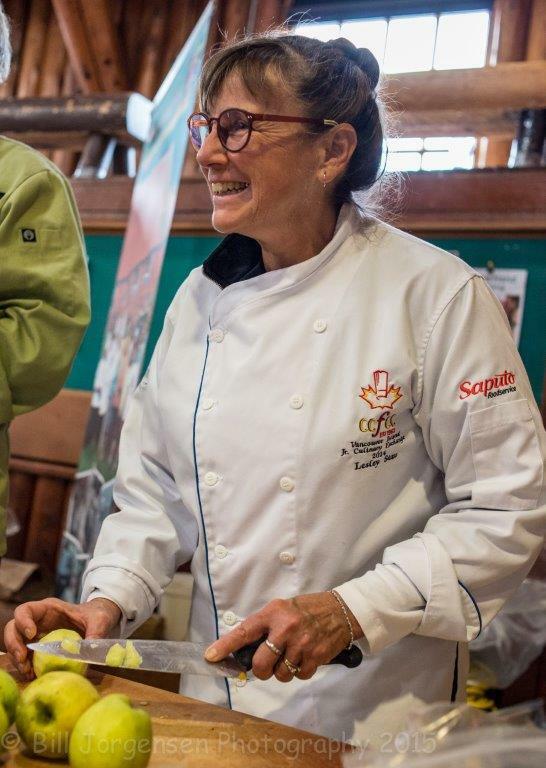 Since its inception, the Federation has enjoyed a deep and long-standing tradition as Canada’s representative of the professional chef and cook. Membership in the Canadian Culinary Federation is available to all persons who actively seek and involve their career paths as a cook apprentice, journeyman cook, professional chef/cook or culinary and hospitality industry professionals. The Federation is a federally chartered, not-for-profit organization managed by a member-elected Board of Directors. Membership is derived from the regional and city branches that maintain affiliation with the CCFCC by way of charter and acceptance of the National bylaws. The business of the CCFCC is presented at recognized annual conventions and is open to general membership, invited guests and persons or organizations associated with the culinary and hospitality industry.